It’s that time of year again! 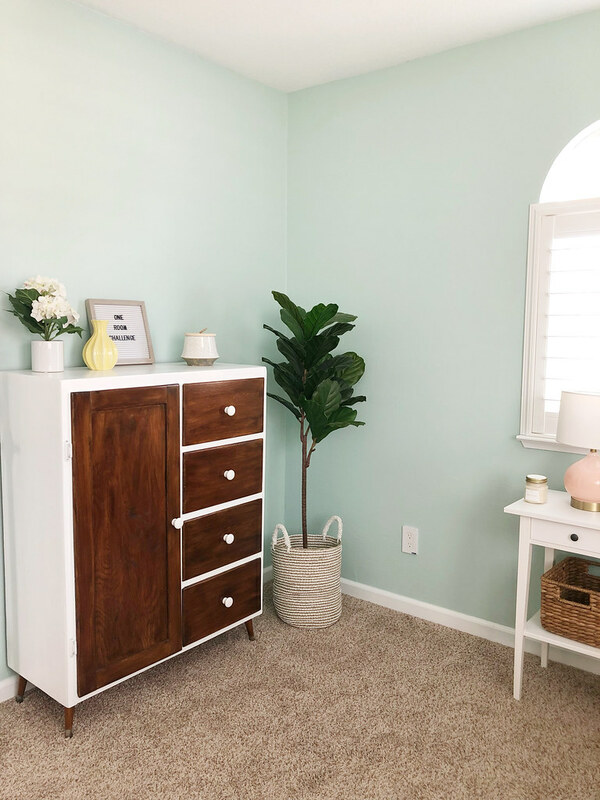 The One Room Challenge kicks off today, and I am SO excited to announce my room will be the NURSERY! Last fall, my ORC was to turn the spare bedroom into a functioning guest room that would eventually become a nursery. Well my friends, that time has come. I came up with this floor plan during week 3 of the last ORC because I was having a hard time figuring out to transition from a bedroom to a nursery. We’re pretty much just switching out the bed and nightstand for a crib and rocker. Everything else is going to be cute decor. 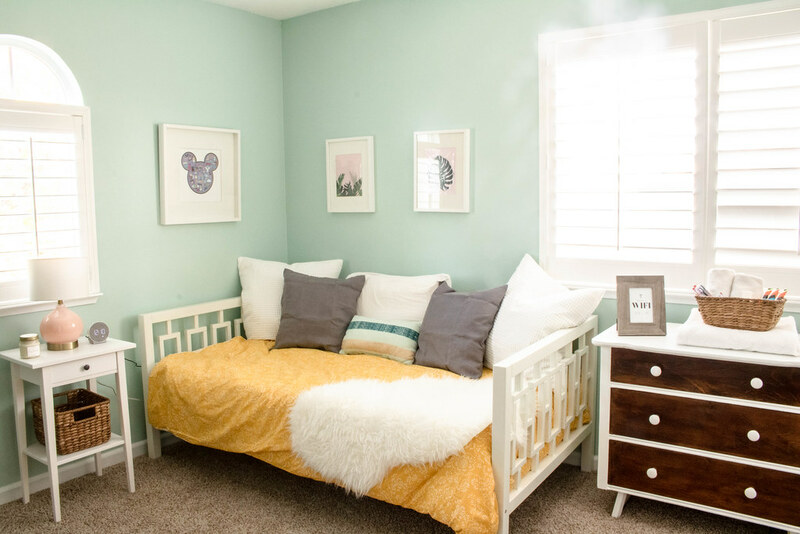 I’ve already figured out where I’m going to be moving the daybed, so after my niece visits this weekend (she’ll be the final guest in the guest room), we’re moving the daybed downstairs. 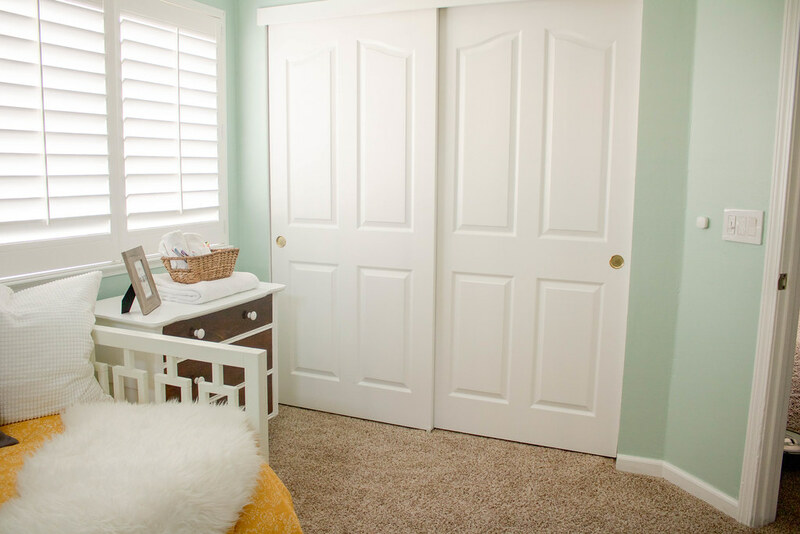 After that, we need to get a crib, a rocker, and all the fun things that come with creating a nursery. I have a whole lot of Pinspiration to sift through!